You get exactly what you look for. For a customers quad that is only used for 'horsey'duties once in a blue moon.just keeps the battery up during weeks of non use. Doesnt give you any indication of the charge rate, but seems to work. Arrived quickly. Does what it says on the tin! Thank you! 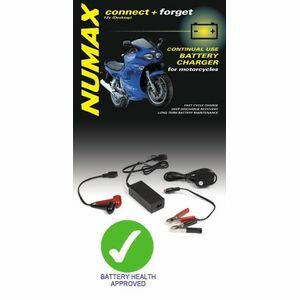 Very pleased with the Numax battery charger and very impressed with the super fast delivery service. Very good charger for small batteries.